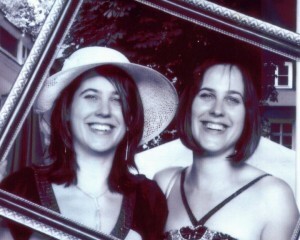 We are twin sisters and we live in Bolton, a multi-faceted and friendly town in Lancashire, UK. Our maiden name is Heap so this is what we have used as our pen name. We can’t say if we are identical or fraternal twins as no-one, least of all our parents, seems able to agree on this! It doesn’t matter to us. What matters is our mutual love of reading and literature and our symbiotic relationship, which has facilitated the inception and creation of our first novel. We are now writing our next novel, a fantasy trilogy, and have already received interest from a literary agent. We always loved to write stories to each other when were younger. This stopped when reality caught up to us and we had to concentrate on education, marriage and careers! We do try to plan what we write a little and obviously we have to confer a lot with each other! We sometimes disagree but not very often and we always manage to work it out. We do get passionate about our characters and story ideas. We often surprise each other – in a good way! We both often find that we have decided on a plot line and, as we write, our writing or the character decides to take it somewhere else! We never seem to have writer’s block – we both sometimes have the opposite and have to cut down a bit on excessive vocabulary! We do sometimes come across “plot block” where we have to work out where the plot is going or how to get a character out of a sticky situation we have written them into while still keeping things believable! Our characters do often surprise us! They can develop in a way we have not expected or we can find that they drive the plot in a different direction. We don’t talk to them but we often dream about them. If you love writing and know that you are good at it, keep going. Don’t give up. We haven’t. We initially decided to self-publish as our first book was written at a time when self-publishing was really taking off. For our second work, a fantasy trilogy, we intend to publish the traditional way as we prefer to spend our free time writing – all the marketing side is much harder work than we thought! We have already had interest from a literary agent. We love how e-publishing has developed..we have saved enormous amounts of space on our bookshelves with the advent of kindle! I think that traditional publishing will still remain strong but love how authors can get their work out there on their own.